MOTOmed by RECK started in the 1980ies. Ever since, people from all over the world have been doing their movement training with this device. Especially people with paralysis, spasms or muscle weakness move their legs and arms with the MOTOmed. The movement therapy training can be done in passive, motor-assisted and active mode. A change in RECK’s management also marked the beginning of a new generation of MOTOmed movement. Besides the MOTOmed muvi, now we have the MOTOmed loop, a device that will take movement therapy to the next level. Latest technology in a nutshell, up-to-date features and functions – even more simple and intuitive. With a usability, that serves people in the best possible ways and an innovative human design to be touched and understood. 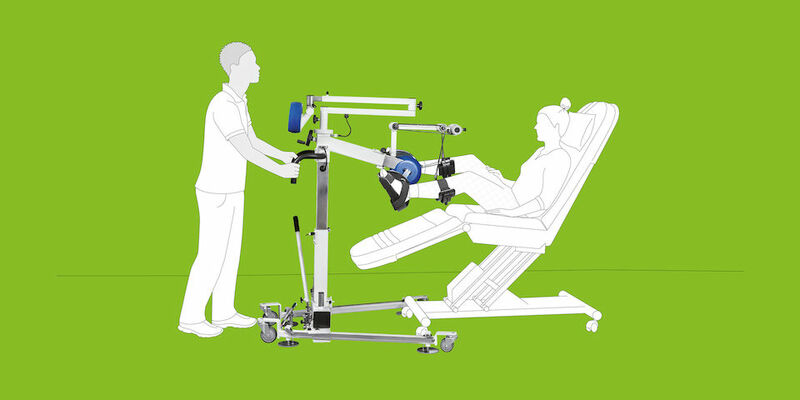 For the first time, a medical device offers height adjustment for the leg and the arm trainer and users can change from leg to arm training at the touch of a (digital) button. A special feature is the possibility to display own image files. Users can look at their own photo albums on the innovative MOTOmed loop display. MOTOmed_always an idea ahead!